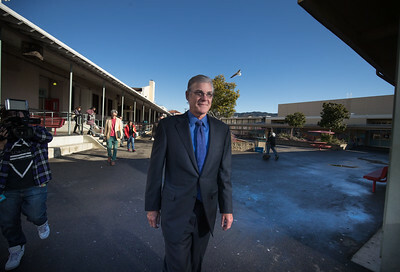 The State Superintendent of Public Instruction, Tom Torlakson takes a tour of Edna Brewer Middle School with media members and school officials following on Jan. 05, 2017. 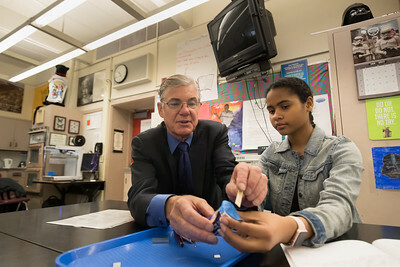 The State Superintendent of Public Instruction, Tom Torlakson work with an electric magnet with Amelie Hall, 13, in a science class at Edna Brewer Middle School. 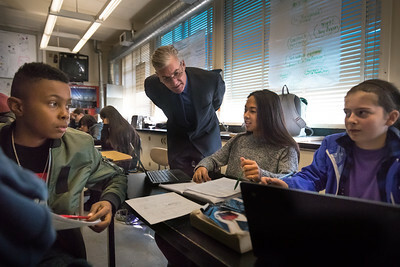 Photo by Paul Kuroda Jan. 05, 2017. 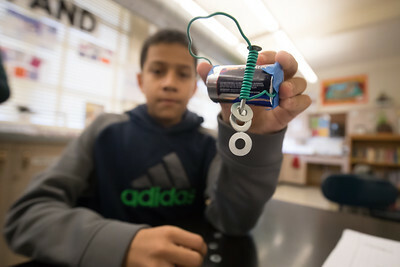 Jose Ramierez, 13, holds his table's electric magnet at Edna Brewer Middle School. 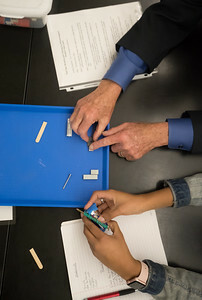 Photo by Paul Kuroda .